This paper is divided into six sections. First, it provides a critical summary of the way M. M. Postan and his followers perceived the development of technical change and the significance they ascribed to it in the context of the radical transformations that took place during this period. It will be argued that Postan’s perspective encapsulates a strikingly static perception of medieval technology and, as a result, reduces it to an irrelevant datum when he discusses the system’s dynamics. The second section will seek to challenge this view by laying the empirical foundation of my argument in the form of an overview of productivity yields recorded across England during the aforementioned period. 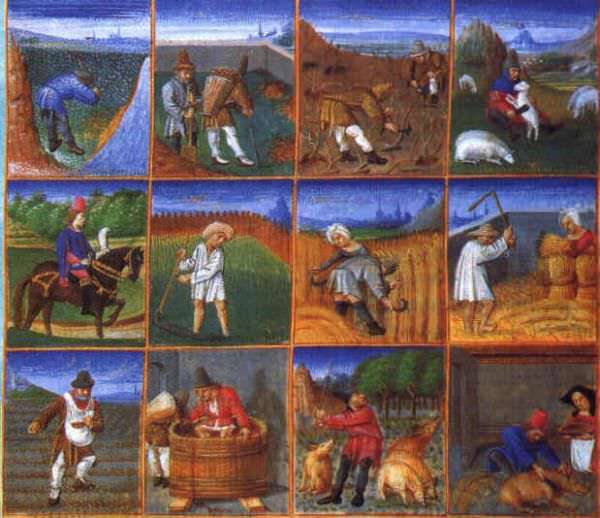 If medieval technology was static, so ought to have been crop yields, since the two are locked into a cause-and-effect relationship. Nevertheless, Postan’s perspective is not supported by the data, because they clearly reveal both temporal fluctuations and wide disparities across regional lines. The next two sections will attempt to establish a correlation between the unevenness of yields during the pre-plague period and the technological choices made by manorial officials.